See the difference additional daylight and ventilation can make in your home. Make ordinary rooms into extraordinary rooms. Imagine the light flooding in on a Sunday morning. You open up a couple of windows and take in the view, allowing the fresh air to help you start the day. A VELUX Opening Skylight provides you with a natural and energy efficient alternative to mechanical ventilation - the stack effect. The stack effect is the natural process of warm air moving upwards. Letting warm, stuffy air escape via the upper openings of your house and replacing it with fresher, cooler air from windows and doors, can be a great way to ventilate your home in summer without the unpleasant feeling of draughts. 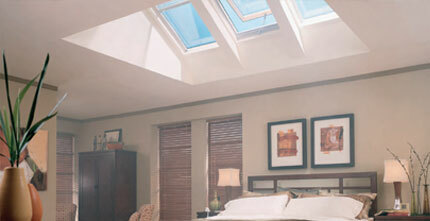 VSE - The Ultimate " Plug & Play" Skylight The VSE Electric Opening Skylight offers the comfort and energy savings of free Daylight and Fresh Air. 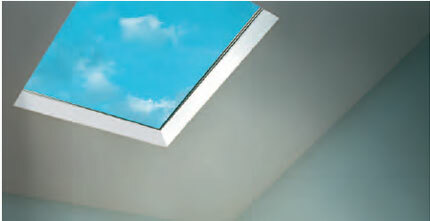 The added convenience of remote control and built-in rain sensors make this the ultimate Skylight solution. • Choice of 8 sizes. • High Performance double glazing as standard. FS Fixed Skylight The FS Fixed Skylight is perfect for visually expanding areas such as hallways, stairwells, and other closed-in, dark spaces that can be transformed with Daylight and sky views. It provides an economical alternative for creating a spacious home that is filled with abundant daylight. 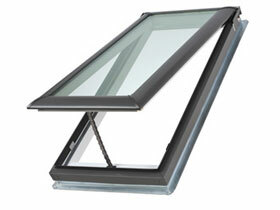 • High Performance or Comfort double glazing on most sizes. • Smooth low profile sits lower in the roof, does not obstruct the roofline. • Available in 8 sizes. 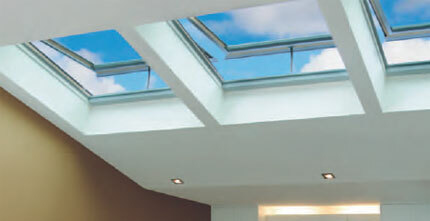 VS - Manually Opening Skylight The VS Manually Opening Skylight offers the comfort and energy savings of free Daylight and Natural Ventilation. The pre-installed Insect Screen adds the benefit of keeping mosquitoes and flies out in summer. • Operated by base handle, for within reach situations, or by rod for out-of reach use (to 285cm above head height). FCM Flat roof, glazed skylight The brilliantly simple FCM flat roof skylight incorporates the VELUX High performance glazing unit and an all metal, insulated exterior frame. The new smoother exterior gives not only a lower profile on the roof, but also provides a “cool” daylighting solution by effectively blocking heat build up and UV rays. Huge benefits at a fraction of the price you would expect. • Unlike acrylic or polycarbonate – laminated glass will not fade or discolour over time. • Maintenance-free anodized heavy-gauge aluminium frame withstands the extremes of the Australian climate. • Versatile positioning: most sizes can be used in portrait, landscape or even “diamond shape” orientation. • High Performance double glazing as standard – blocks 80% of radiant heat and gives 99% protection from UV rays Requires custom-made flashing ( . 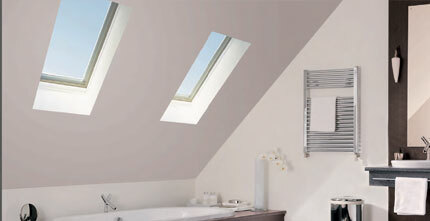 Roof Windows let you transform attic spaces into beautiful living areas filled with Daylight and Fresh Air. The Vent Flap adds the extra convenience of controllable passive ventilation even when it's raining! The Pivoting Roof Windows are made of treated pinewood and pre-coated with clear acrylic lacquer. From the outside they are protected by maintenance free external aluminium cappings in "grey" colour. This model is the only one which has a Vent Flap. The Vent Flap allows you to have controllable passive ventilation in your home. You can close the roof window but leave the Vent Flap open to ventilate your home all day long. Your children will be safer with roof windows that open with a handle that is out of their reach. Yet adults can operate the top-placed handle easily, even if the play area is directly beneath the window. 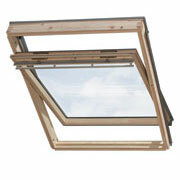 There is also a barrel bolt which allows you to open the window slightly and engage it so your children cannot open it. Dark, windowless areas lurk in every home. Toilets, small bathrooms, hallways, offices, wardrobes - they can all be unwelcoming if they never see daylight. 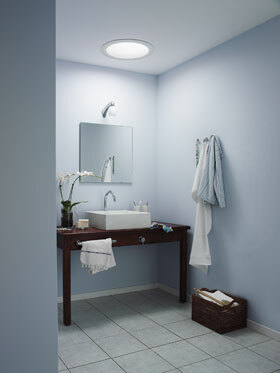 Now you can transform your home with sunshine using the unique VELUX Sun Tunnel.